There are just some days that you never forget, and Sunday is going to go down in history as being one of them. In case you missed it, Hillary Clinton announced that she's running for president in three different ways, each more official than the last. The final word came in the form of Clinton's campaign video, which took a strong approach to showing off the issues to which Clinton will dedicate herself over the course of her campaign. The video was preceded by an announcement from the Associated Press. However, between those two statements, John Podesta announced Clinton's presidential bid in an email that went out to potential donors and voters. For those who are unfamiliar with politics, or simply aren't as into politics as some of their peers, a single question might arise: who is John Podesta? The 66-year-old has had an illustrious career in politics before becoming the Campaign Chairman for Clinton 2016. 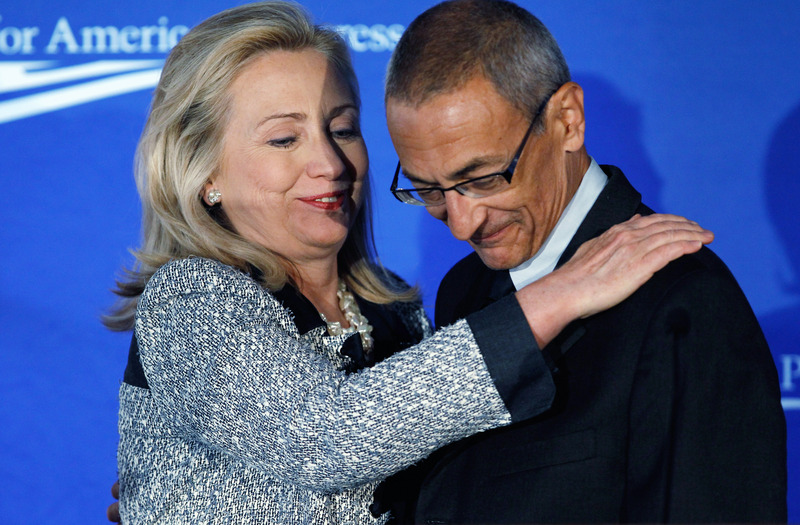 Podesta has been a big name rumored to be attached to the Hillary Clinton campaign as early as February 2015, but his history — both with politics and with the Clinton family — goes back further than that. He was the White House Chief of Staff during Bill Clinton's presidency, serving from 1998 to 2001. After that, he acted as a Counselor to Barack Obama. Prominent positions though these may be, they are only a few of the offices that Podesta has held over the years. His resume includes a turn as Chief Counsel for the Senate Agriculture Committee, Counselor to the Center for American Progress Action Fund, and Co-Chairman for the Obama-Biden Transition Project. Thus, it's clear that Podesta's involvement with Clinton's presidential campaign is nothing to sneeze at. That alone could be seen in the email that he sent to the donors and voters, which began with, "I wanted to make sure you heard it first from me — it's official: Hillary's running for president," and ended with, "For now, just wanted to say thanks. We need to make the middle class mean something again. We can do this." Podesta might just be one of many big names on Clinton's campaign team — including Clinton herself, of course — but his experience and, more importantly, his obvious faith in this campaign give Clinton a definite edge over the competition. However, it's not all just politics with Podesta. Over the course of his decades-long career, he's amassed a variety of achievements. In 2008, Podesta wrote a book called The Power of Progress: How America's Progressives Can (Once Again) Save Our Economy, Our Climate, and Our Country. It was endorsed by Bill Clinton himself, who said of the book, "What [Podesta] did for our presidency, he has now done for our country by crafting an inspiring blend of scholarship, personal history and patriotism and offering us a powerful approach to American progress at a time of global challenge." He has also written Think Progress: Ten Big Ideas to Change the Country among other contributions. As if the many other titles he has held over the years was somehow not enough, Podesta is also a Distinguished Visitor from Practice at Georgetown University Law Center. Which makes sense, as he graduated from the institution himself in 1976. As you might have guessed from the above, Podesta is a lawyer who actually worked as a trial attorney for a while during his political career. So while he is Clinton's Campaign Chairman, and while he is a politician who has amassed a lot of amazing experience in the field, that's far from all John Podesta is. With him at Clinton's side, her campaign is already off to a great start.